Home » Announcements, News Slider » Crossroad Season Is Here! 15’s Competed last weekend in Crossroads and 16’s, 17’s, and 18’s are this weekend! Head over to Colorado Crossroads website to see when we play! 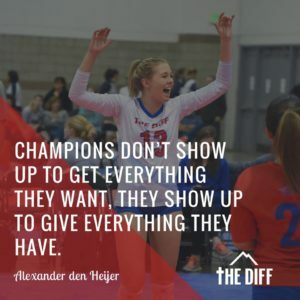 We are so proud of the work our athletes have put in both on and off the court to prepare for this weekend. Our 16s, 17s and 18s team all compete in the Colorado Crossroads Qualifier this weekend at the Colorado Convention Center. Remember your training and make a difference, girls!